You’ll want to leave potential buyers with a great impression of your listing’s exterior, that is if you want to motivate them to want to see more. But what do you do if the front entrance to a house looks dated, insubstantial and unwelcoming? 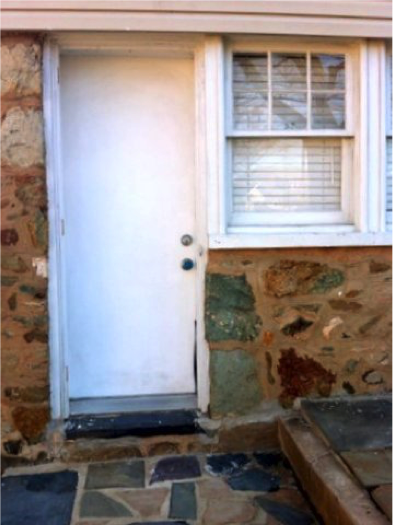 Photo courtesy: Caroline M. Carter/Done in a Day Inc.
What impression does this front door create for the potential buyer? Does it communicate value to the buyer? Is it worth their time to schedule a showing? No. The front door currently presents as an unimpressive–utilitarian front door with a tarnished, pitted brass doorknob and mail slot. With a quick trip to the nearest home improvement store, the updated entrance goes from drab to fab. 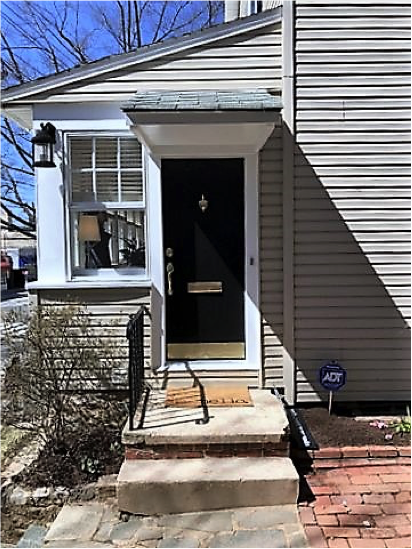 A critical investment of $300 for new black paint and polished brass handset, knocker, mail slot and kick plate transformed this entrance and creates value in the mind of the buyer. It now presents as more polished and welcoming. It’s substantial, safe, secure and well-maintained. As a result of this quick fix, the buyer will now assume that the interior of the house is worth their time to schedule a showing. All doors are important. 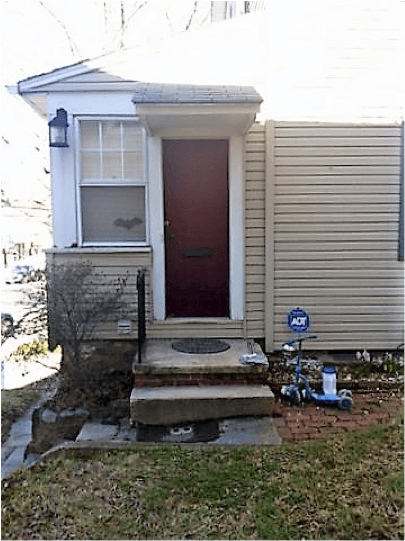 The basement door facing the main street of this same house is unsightly, insubstantial and creates confusion in the eyes of the buyer–where is the front entrance? What is this door and where does it go? 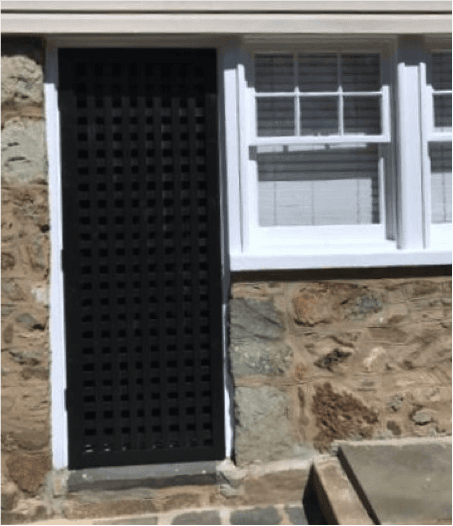 A simple black painted lattice framed outer door with no handle creates a more artistic and secure looking distraction so the buyer instantly knows that it is not the main entrance. Here’s another simple, inexpensive way to spruce up the curb: Update the house numbers. 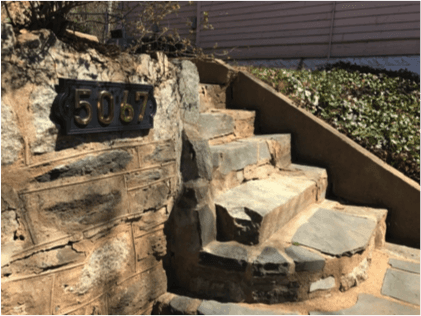 In the photo below, we added a newly installed black plaque with 4” house numbers on the stone wall closest to the stairs to the main entrance. It’s visible from the street and leads buyers to the actual front entrance. 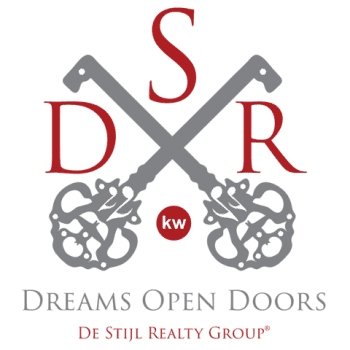 So, view your entrance and front door with a more critical buyer’s eye. Does it create a positive impression of perceived value? Does it compel the buyer to make time to schedule a showing? If not, it’s time to enhance it. First impressions count. 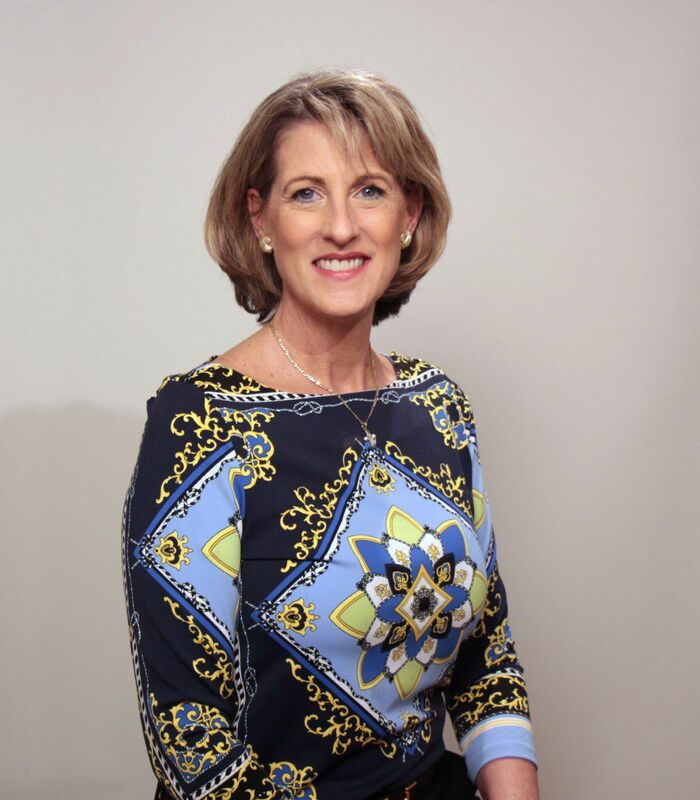 ABOUT THE AUTHOR: Caroline Carter is founder of Done In A Day, a full service home transition company in the Washington, D.C., metropolitan area. Since 2005, her company has created The Perfect Listing® to stage the areas upper bracket houses to sell. She is recognized by the area’s top real estate professionals and educated sellers to be a leading resource to successfully navigating the transition process from house to home. To learn more about Carter, visit her website at doneinaday.com, or follow her teams projects on Facebook, Instagram, Houzz, LinkedIn, and Pinterest.